Clinical trials are treatments. Choose one that is right for you. Opening in the Fall of 2019 at Sibley Memorial Hospital. Our multidisciplinary teams of doctors, nurses, pharmacists, social workers, and advanced practice providers at Sibley Memorial and Suburban Hospital offer incomparable care for patients in the Washington, D.C., region. The Johns Hopkins Kimmel Cancer Center, at Sibley Memorial Hospital and Suburban Hospital, in partnership with StoryCorps, celebrate cancer survivorship. Edmund and Mary share their thoughts with Dr. Armine Smith on the will to live in the midst of back-to-back cancer diagnoses. James says that confronting cancer helped him refocus his life on what really matters. For Abby, spending quality time with her friends and her cats provided the inspiration she needed to battle through her treatment. Brandi Page, M.D., is an assistant professor of radiation oncology and molecular sciences for Johns Hopkins Radiation Oncology Department at Suburban Hospital and a radiation oncologist at the Johns Hopkins Kimmel Cancer Center at Sibley Memorial Hospital. Dr. Page has expertise in treating all types of cancer and is especially interested in advanced treatment of brain tumors, and head and neck cancer. She also has clinical interests in breast cancer, and palliative radiotherapy and metastatic cancer. She is passionate about her patients' physical and emotional well-being in treatment and recovery. 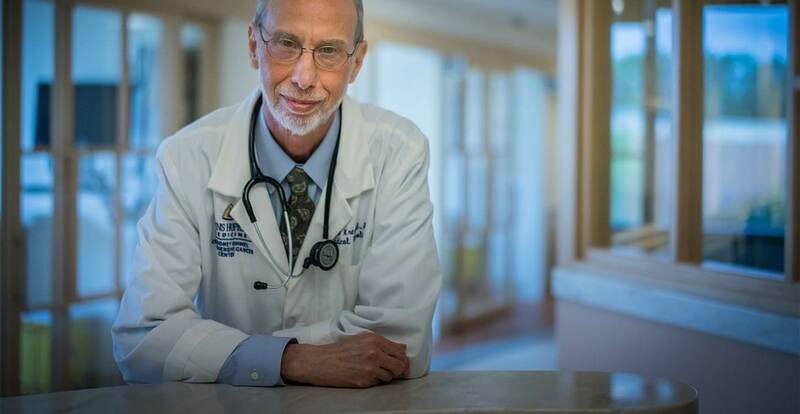 Benjamin Levy, M.D., is a thoracic medical oncologist and the clinical director of medical oncology for the Johns Hopkins Kimmel Cancer Center at Sibley Memorial Hospital. Dr. Levy is a physician scientist who is interested in innovative immunotherapeutic approaches for advanced stage lung cancer patients and biomarkers that help define those patients more likely to respond to such agents. He has expertise in thoracic malignancies, including non-small cell lung cancer, small cell lung cancer and thymic malignancies, as well as head and neck cancer.